Even a superficial reading of the Holy Bible will uncover certain basic Biblical truths like Jesus is the only way to God, God’s intolerance of sin, Christ as mediator between God and man, God’s hatred of the dissolution of truth and Biblical doctrine, and so on. One of the many modern scourges and heresies against Biblical truth is ecumenism. A brief treatment of ecumenism follows. For full treatment, see Christianity: Ecumenism. The word ecumenism is derived from the Greek words oikoumenē (“the inhabited world”) and oikos(“house”) and can be traced from the commands, promises, and prayers of Jesus. After the International Missionary Conference held at Edinburgh in 1910, Protestants began to use the term ecumenism to describe the gathering of missionary, evangelistic, service, and unitive forces. During and after the second Vatican Council (1962–65), Roman Catholics used ecumenism to refer to the renewal of the whole life of the church, undertaken to make it more responsive to “separated churches” and to the needs of the world. The ecumenical movement seeks to recover the apostolic sense of the early church for unity in diversity, and it confronts the frustrations, difficulties, and ironies of the modern pluralistic world. It is a lively reassessment of the historical sources and destiny of what followers perceive to be the one, holy, catholic, and apostolic church of Jesus Christ. The possibility of an ecumenical approach, in the modern sense, to Christianity increased, somewhat ironically, in the 17th and 18th centuries, when English dissenting sects and Pietist groups on the Continent began to promote evangelistic, revivalistic, and missionary endeavour. This, along with the simultaneous effect of Enlightenment thought, broke down many of the traditional foundations that supported separate church structures. Other breakdowns in the traditional understandings of church unity led to new possibilities for experimentation in the 19th century. The separation of church and state in the United States signalled the need for civility and respect for religious rights in a land of many religions. The sending of missionaries at the beginning of the 19th century revealed the possibilities of cooperation across denominational lines at home and brought to light the scandal of competition and conflict among Christian denominations abroad. Early 20th-century ecumenism derived impetus from the convergence of three movements: international missionary conferences (Protestant), beginning with the Edinburgh Conference (1910) and taking shape as an institution in the International Missionary Council (1921); the Faith and Order Conferences (on church doctrine and polity), commencing in the conference at Lausanne (1927); and the Life and Work Conferences (on social and practical problems), beginning with the Stockholm Conference (1925). In 1937 at the Oxford Conference of Life and Work, proposals were drawn up to unite with Faith and Order. The World Council of Churches, a consultative and conciliar agent of ecumenism, working with national, denominational, regional, and confessional bodies, was inaugurated in Amsterdam in 1948. The International Missionary Council joined the World Council of Churches in 1961. Protest movements against the developments that led to and continued in the World Council of Churches have produced an ecumenical convergence of their own. Most participants in this convergence prefer to be called “evangelical.” In the United States the National Association of Evangelicals was formed in 1943, in large part to counter the Federal Council of Churches, which began in 1908 and reorganized as the National Council of Churches in 1950. Evangelicals have many organizations that operate on an international level to channel specific cooperative energies. In 1961 Pope John XXIII established the Secretariat for the Promotion of Christian Unity, and the Eastern Orthodox churches created the Pan-Orthodox Conference. Dialogues among the Roman Catholic, Eastern Orthodox, Oriental Orthodox, Pentecostal, and Protestant churches have brought general consensus on such issues as baptism, the Eucharist, and the nature of ministry. The Lutheranchurches and the Roman Catholic Church have agreed on a common understanding of the doctrine of justification, even as Lutherans, Episcopalians, and the Reformed churches have attained surprising unanimity on certain theological issues. If we want to be really close to the Lord and live in His Purity and Holiness, compromise of any kind will prevent this. 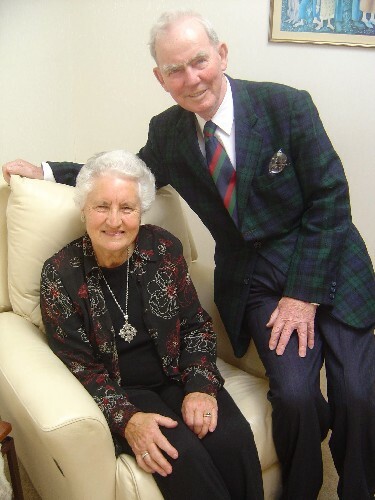 My father Rev Reuben Donald Elley, known as Rev Don Elley, was a leading New Zealand Presbyterian clergy, particularly from the 1960s to 1990s. Dad was ordained in 1955, and was a clergy all his life, until he died in August 2012. I was close to him. My mother was an ordained Presbyterian pastor. Female Presbyterian pastors were called Deaconesses prior to the 1970s. They couldn’t lead communion or preach. Things were different in those days. My father was influenced by Ecumenism in the 1960s and even embraced it to some extent, like Billy Graham did to a far greater extent. By the 1980s, dad had pulled back from it completely. Dad realised Ecumenism, or Ecumenicalism as it was called in the 1960s to 1980s, is not Biblical. By the 1980s, my father Rev Don Elley, would say, Rome will embrace other Christian denominations and even other religions and draw them to itself but it will not change. The pastor in his office. Khandallah. Early 70s. My father Rev Reuben Donald Elley – A free spirit. Dad lived close to the Holy Bible and the Holy Spirit of Jesus. A true man of God and of prayer. Dad fought valiantly to have New Zealand’s famous Presbyterian heretic Professor Lloyd Geering banished from the New Zealand Presbyterian Church. Dad died in August 2012 aged 87. My father was the most highly educated Protestant pastor in New Zealand in pastoral care in the 1950s to 1990s, with a Master of Theology from the elite Princeton University in Atlanta, Georgia, America, obtained in 1954-1955, a year before I was born. Dad taught me a lot and I used to accompany him to Christian meetings where he preached and cared for people from when I was a child. I have his diaries and plan to share extracts from them on this site in the future. Dad never wrote a book but should have. 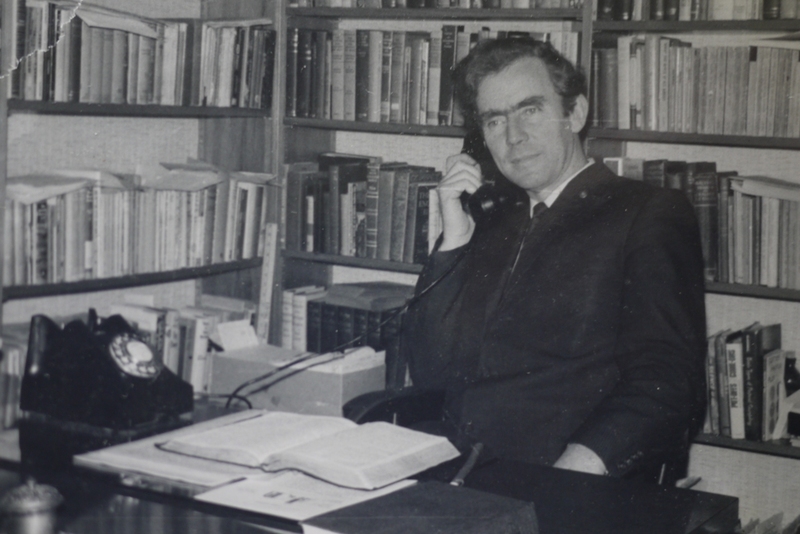 His lectures as a Professor at the New Zealand Bible College (now called Laidlaw College) in the 1970s were very popular. Dad used to hold evangelistic missions and taught at conventions across Protestant denominations in New Zealand, which was unusual in those days. This is where his sympathies to Ecumenism developed. To be successful as Christians we must be zealous for the truth. This will come at a price. Opposition will come.